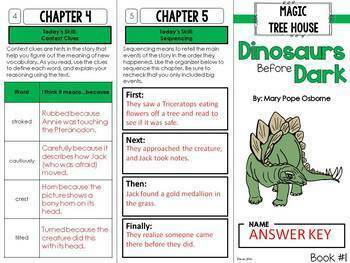 The Magic Tree House series is a favorite of students in second and third grade. 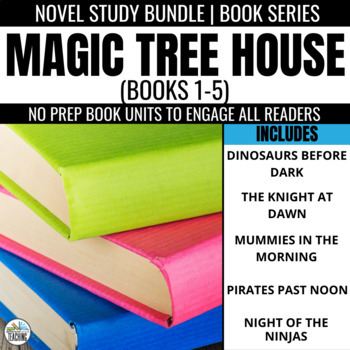 This bundle contains comprehension and vocabulary resources for your novel studies, book clubs, or literature circles. 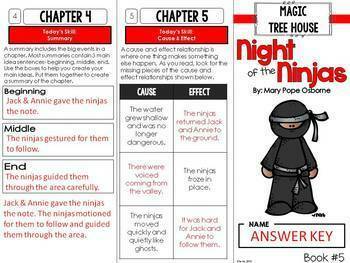 Skills are aligned to Common Core standards and each book companion is structured to be taught in ten lessons. This no fluff novel study format engages students, but it doesn't overwhelm your book groups/literature circles with countless chapter questions that just require them to regurgitate the text. Plus, research has shown engaging students in a series helps encourage them to read more and develop stronger reading skills. Each day's lesson targets one key comprehension skill essential for reading success and the entire day's lesson can be just focused on building that skill. 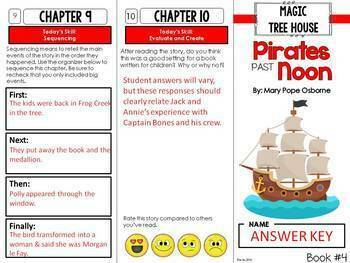 When it comes time to respond, students are asked to use critical thinking skills and combine their own thoughts and opinions with the text to go beyond just a basic understanding of the plot .